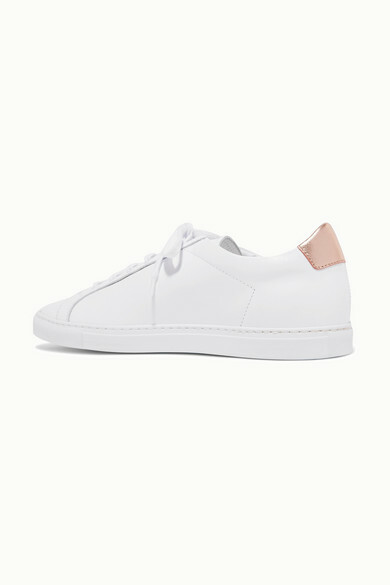 "A pristine pair of sneakers will add a touch of contemporary cool to your look," says PORTEREdit. 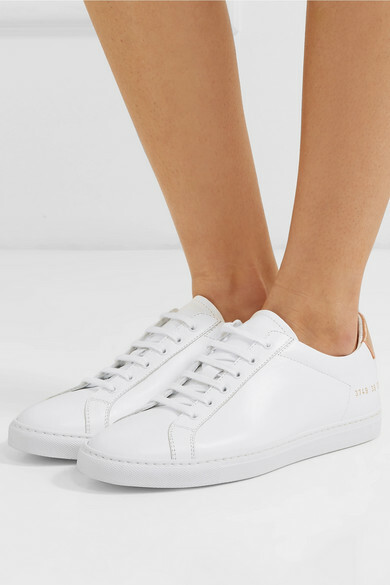 Made from smooth white leather, Common Projects' 'Retro' sneakers are stamped with a unique serial number and have with a rose gold heel tab. 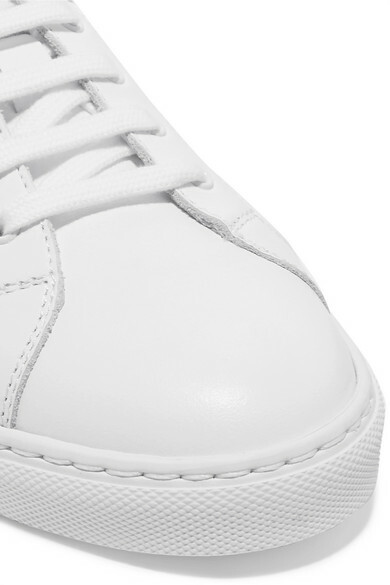 We'll be wearing ours with everything from relaxed tailoring to dresses. 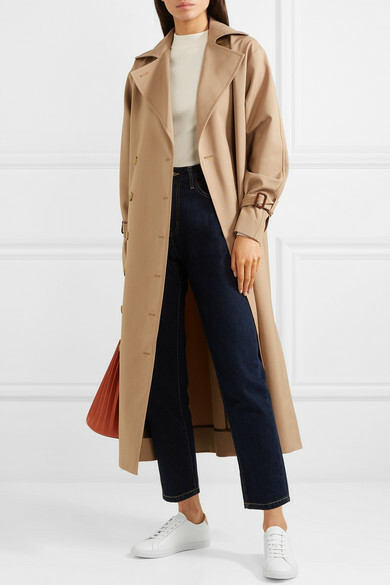 Shown here with: Totême Trench coat, Current/Elliott Jeans, The Row Top, Mansur Gavriel Bucket bag.